Meticulously Maintained bright 1 Bedroom & Den at The Hub on Main Street in Mount Pleasant! 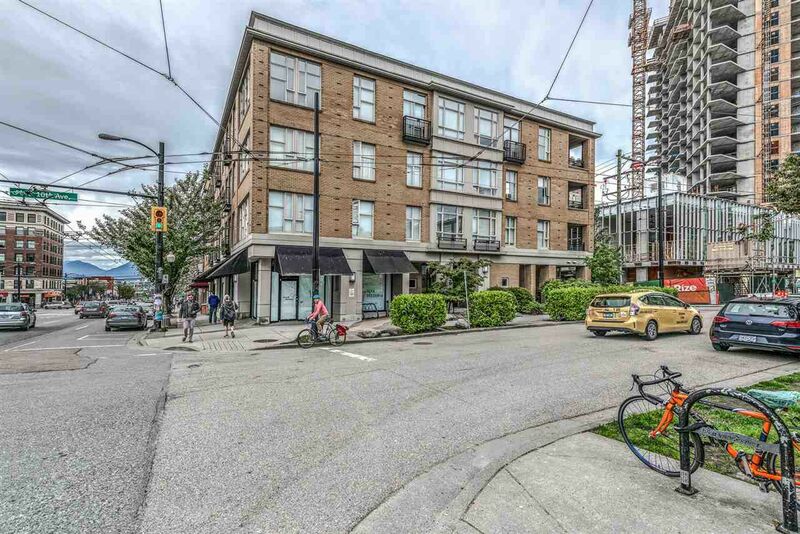 Over 750 Sq Ft of living space, this well appointed unit feats wide plank Bamboo Floors, 9 Ft ceilings, large in suite storage & Juliette Balcony. Entertainer's kitchen has handy moving center island w/ butcher block top, granite countertops, dark cabinets & SS Appliances. Inspire your Design Creativity & style the exposed brick walls in the living room, master bedroom & den that complete this suite. Large Master bedroom has sliding glass doors, walk through closet w/built in organizers & opens onto your den with custom wood framing. 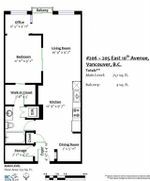 Boutique 45 Unit building with rustic wood accents in the hallways & fabulous common area roof top patio with Mountain, City & water views! Pets & Rentals welcome & 1 Parking incl! Located steps from Shops & eateries including Parrallel 49 Coffee, Burdoch & Co, Fable Diner, Barney's Pub & Cascade to name a few!